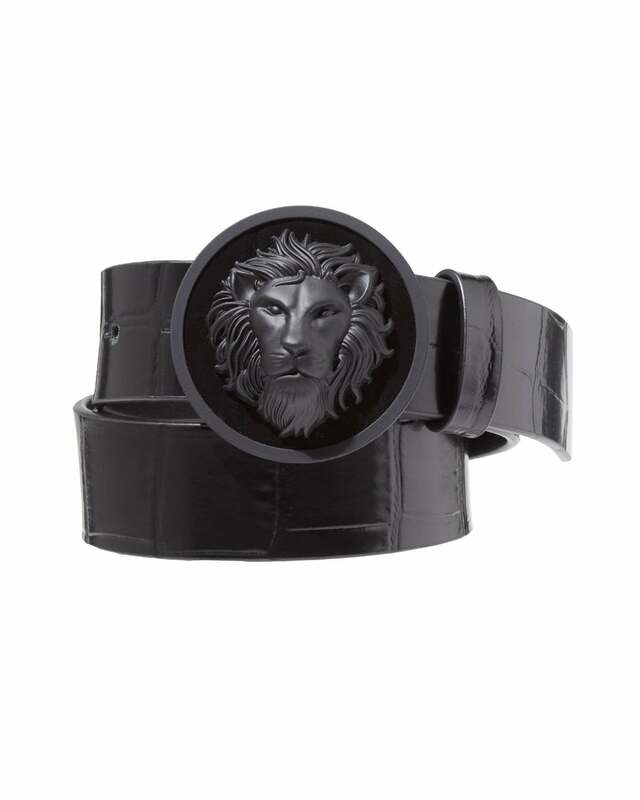 This matt black belt boasts an imposing lion head on a circular buckle. The leather strap is embossed with a fresh crocodile effect. Add this belt to your collection today and pair with some jeans for an exciting evening occasion.